Alberta Avenue is a place with a golden past, one where community was strong, businesses thrived and children were free to run and play. In the early 1900s Alberta Avenue was the edge of the city, it was where Edmonton proper met North Edmonton Village commonly called Packingtown because of the numerous meat packing plants. Being on the outskirts of the city with the railway lines and Fort Saskatchewan trail nearby, the area attracted factories such as Great Western Garments and Norwood Foundry. Industry and the availability of low cost land attracted immigrants and local workers to the area giving it a distinct and proud working class character. 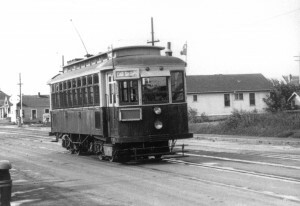 Growth continued with the streetcar line in 1916 and Alberta Avenue became a vibrant business centre. In 1909, Norwood School opened next to Rat Creek. Later, the stream and the Rat Creek dump in the ravine was filled and paved over becoming Norwood Boulevard. North Edmonton Village was annexed by the City of Edmonton in 1913 but residents first extracted a promise for a library. An important part of community life were the local churches and the community league established in 1922. In 1932, the league built a hall, tennis court, wading pool, playground and bowling green on a former potato patch. Various businesses, like the Avenue Theatre, Alberta Cycle and Myhre’s Music, made the neighbourhood a destination for many Edmontonians over the years. The neighbourhood is characterized by small mom & pop shops and a variety of ethnic restaurants. A revitalization led by the business association in the late 1990s resulted in sports figurines and murals celebrating the role that sports played over the years along 118 Avenue. Located just north of Edmonton’s downtown has meant that Alberta Avenue has faced its share of inner city issues. But a city-led revitalization effort started in 2004 brought improvements to streetscapes and security while combating social ills and deterioration of infrastructure. Residents work diligently to create the community’s sense of place and small town feel. Today the area has a growing artist population who make the neighbourhood vibrant and live through festivals and art spaces. All these community efforts have made Alberta Avenue a place where there is history and a special character all its own.